I’ll admit it, I didn’t know that Kawasaki made a twin-cylinder ‘Z’ until I came across the bikes we’ve selected below. It seems illogical that Kawasaki would release a twin when they had a great four-cylinder engine in their line-up, but they wanted a piece of the vertical twin pie. 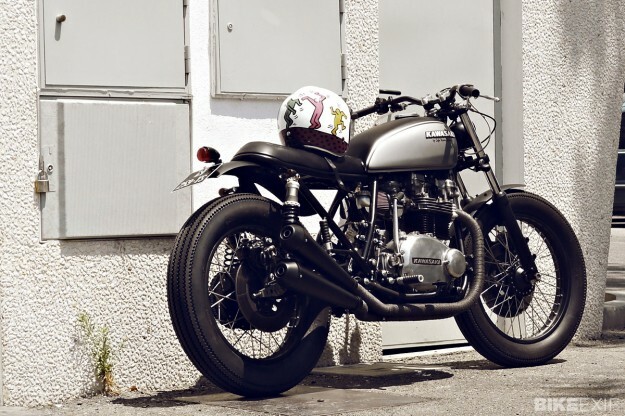 It meant going up against Triumph’s Bonneville and Yamaha’s XS650—so the Kawasaki KZ750 was born. Produced from 1976 to 1983, the KZ750 was (at the time) a fairly modern motorcycle. At its heart was a 745cc vertical twin motor, with double overhead cams and chain-driven counter balancers, good for 55hp, and twin disk brakes. Testers reportedly loved the KZ750—and it was known for being extremely reliable. These days it’s hard to find a decent condition KZ750 (or Z750B, as it was known in some countries). 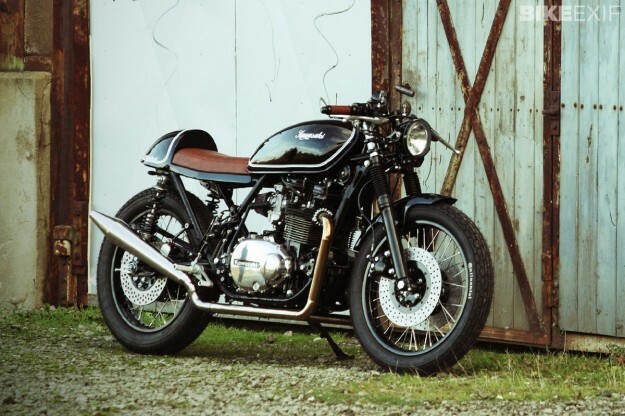 But, if you do manage to find one, there’s ample potential for using the ‘Z’ as a platform for a show-stopping custom—as proven by the five builders we’ve selected below. Wouldn’t you agree? Photo (and header image) by Kristina Fender. Chad Hodge’s KZ750 Chad Hodge is an industrial designer by trade, and it shows. 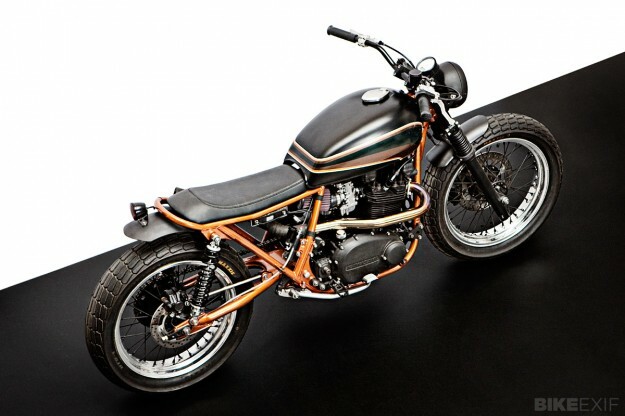 This ’78 KZ750B (his first custom build) is loaded with clever features and tasteful design touches, exactly what you’d expect from the man who penned the Bell Bullitt helmet. 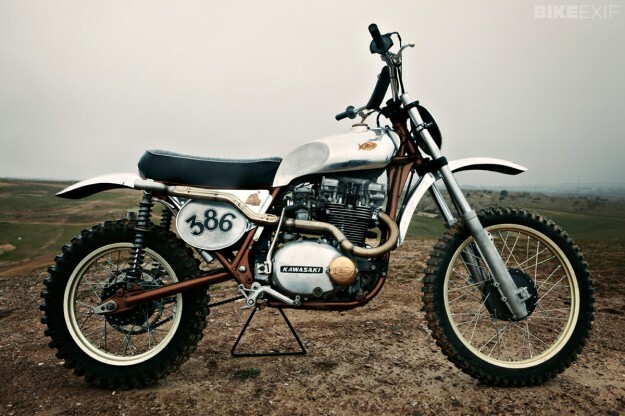 It’s also the first motorcycle Chad ever owned—he initially bought it when he was 18, couldn’t get it running properly, sold it, then bought it back and began customizing it. Wrenchmonkees This stunning Z750B was the pet project of Wrenchmonkees founder Per Nielsen, who set out to build “the perfect City-Dirt tracker.” In my opinion, he nailed it. It’s a bit more colorful than most bikes from the Danish workshop, but it still has that unmistakable Wrenchmonkees vibe. Most of the work happened under the hood though: the engine’s been bored out to 970cc, using mostly bespoke parts (aftermarket Z750B tuning parts are non-existent) including 89mm pistons made by Wössner in Germany. HB Custom You wouldn’t say it looking at this über-clean 1983-model Z750B, but Holger Breuer has a day job—and it’s not building café racers. 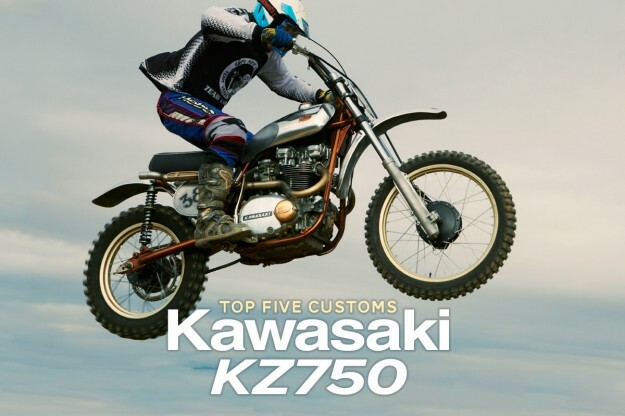 He’s been doing that in his spare time, racking up a rather decent catalog in the process, including a few Z750Bs—one of which even won a competition run by Kawasaki Germany. 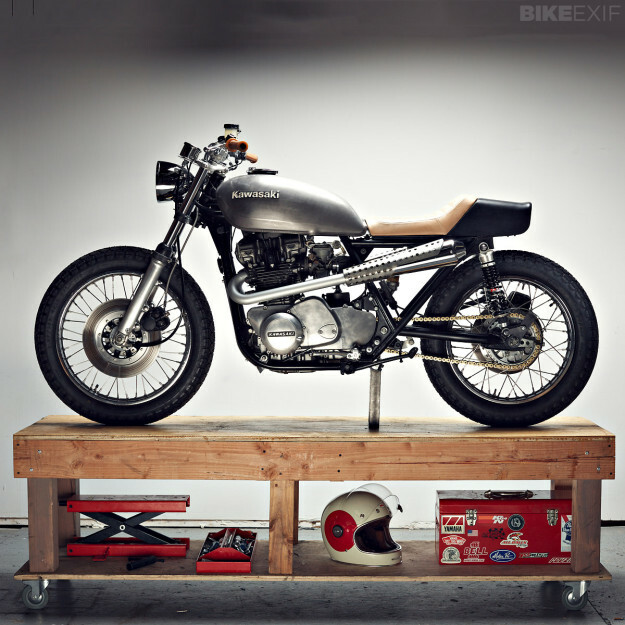 CRD #28 There’s not a lot to say about this KZ750—other than that it’s an archetypal Café Racer Dreams build. And that, in itself, is a huge compliment. The traditional CRD signature touches abound: Renthal’s Ultra-Low bars, lights and fenders from CRD’s own catalog, and an under-seat area devoid of any clutter. The subframe’s been shortened to accommodate a custom bench, and the exhaust headers have been rerouted to the same side with twin, blacked-out reverse cone mufflers. Two-tone paint on the tank keeps things simple and monochromatic, and the vintage Kawasaki badges are a nice touch. Despite all the work involved (I’ve seen a photo of the donor bike and it’s a far cry from the finished product) the overall effect is understated and sublime, making this one of my all-time favorite KZ750s. Last week’s Top 5 celebrated the Harley Panhead.